Tallinn Summer School | How to Get Published? The course aims to increase participants’ knowledge about writing for publication and confidence and skills for accomplishing this goal. Academic publication is an essential part of scientific research and a precondition for defending the doctoral dissertation (thesis). The prospects of publishing can be both exciting and daunting. This course is intended to demystify the publication process and increase confidence in writing for publication. It is designed to help participants learn the process for publishing an article, from generating an idea to the final product, especially articles based on quantitative, qualitative, and mixed-methods research. The course is also designed to help students consider publication in the context of their overall program of doctoral studies and how they can best utilize publications to achieve the goal of earning a doctoral degree. Participants will have opportunities to appraise their strengths and challenges in writing, learn strategies for making progress and maintaining motivation while writing, select journals for publication, identify the qualities for which editors and reviewers look in evaluating manuscripts, and learn how to respond to editors and reviewers’ comments for revision. Participants should bring paper and electronic copies of an article which they submitted for publication (or an article in progress), and, if possible, the editors and/or reviewers’ comments they received. Participants should be willing to engage in discussion about their writing, share their work, and work on their writing. The course will demystify the publication process and increase confidence in writing an article. You will get theoretical knowledge and practical instructions about publication process. You will get feedback on your own article in open and constructive discussions. Please see also the full programme. The course is meant for PhD students (from the curricula of demography, sociology, social work, political sciences) and their supervisors, in total 15-20 persons (incl 3-5 places for international, foreign PhD students). 3-5 places will be provided for foreign PhD students who will send their motivation letter and CV (incl the list of publications and R&D projects) no later than on May 1st to Koidu.Saia@tlu.ee The documents sent by candidates will be evaluated by the KSTT Doctoral School’s Council and the results (who will get the invitation to the summer school) will be announced not later than on May 15th via e-mail. Assessment criteria: Active participation in all the lectures/seminars and a written self-assessment of progress with own article (max 250 words). Course attendance is without enrollment fee. Participants will be responsible for their own accommodation and meals. 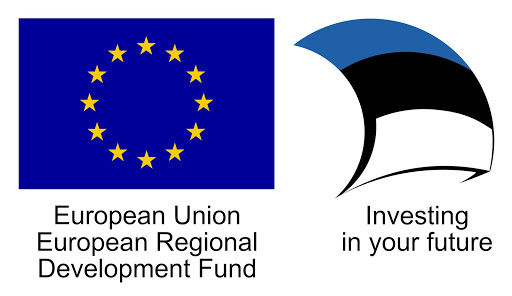 Activity is financed by the European Regional Development Fund through the institutional package measure for R&D institutions and higher education institutions (ASTRA project TLU TEE of Tallinn University) and is organised by Doctoral School of Behavioural, Social and Health Sciences and by the Doctoral School in Economics and Innovation. Busy in Summer? Check Tallinn Winter School!